Just Gorgeous! Great for ceremony or highlighting a special spot! Indoor use suggested - Not ideal for windy conditions. 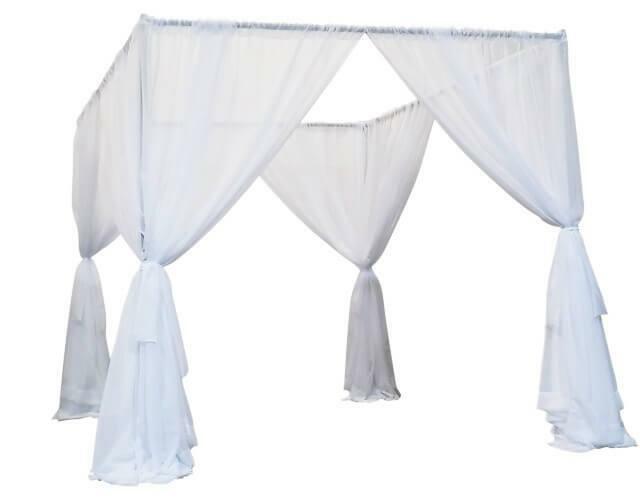 * Please call us with any questions about our wedding canopy / chuppa white rentals in Sedona, Cottonwood, Camp Verde, Prescott Valley, Chino Valley and surrounding metro areas.